Library employees work to clean and organize the DeKalb Public Library on Tuesday, August 30, 2016 in DeKalb. The library is opening a new wing and will remain closed for work until the official Grander Reopening on September 10. 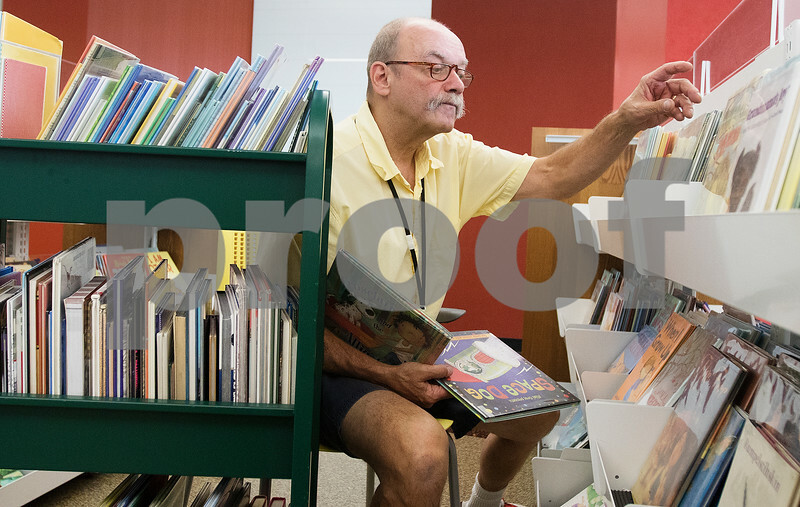 Michael DeFauw reshelves children's books at the DeKalb Public Library on Tuesday, August 30, 2016 in DeKalb. The library is opening a new wing and will remain closed for work until the official Grander Reopening on September 10.